While a majority of Americans believe that South Carolina Governor Mark Sanford ought to resign following his decision to go AWOL and the subsequent disclosure of his infidelity, one group is not so sure. Palmetto Family Council president Oran Smith says his group has not yet called on Sanford to resign, but is monitoring whether the governor is earnestly trying to reconcile with his wife. Just out of curiosity, what do you think the PFC’s position would be were Sanford a Democrat? And, for those who are so inclined, here is an address Sanford delivered in which he gushingly praises the organization, though most of the speech is an introduction of former Rep. Steve Largent, whom Sanford credits for introducing him to C Street. The people of South Carolina, particularly the wives and mothers of the Palmetto State, feel the hurt of this scandal most deeply, and refuse to let this moment pass without taking time to thank and encourage the one person who has been a rock in this crisis: First Lady Jennifer Sullivan Sanford. 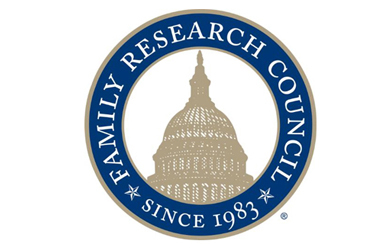 Friends of Palmetto Family Council are saying loud and clear that Jenny Sanford deserves our thanks and our support … By doing so, you can encourage her and thank her for her strength, her courage, her commitment to her family, and her example. Please help us collect as many signatures as possible to show how deeply the people of South Carolina (particularly wives and mothers) appreciate her and what she represents.